3FF stands for 3rd Form Factor. A SIM card that is physically smaller than a traditional (2FF) SIM, but larger than a nano-SIM (4FF). 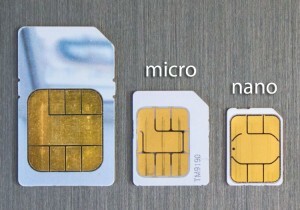 The electric contacts and circuitry of a micro-SIM are identical to that of a larger SIM card; the plastic part is simply smaller. A micro-SIM can be used in a larger SIM card slot with an adapter.